Scotty. 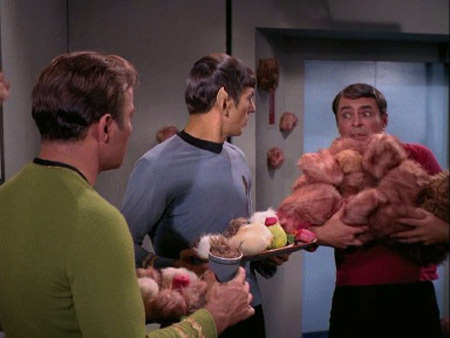 Tribbles. One exists to be eaten, one exists to eat. You ever wonder why Scotty packed on so much weight between the TV series and the movies? An all-Tribble diet, my friend. Those suckers are loaded in saturated fat. Why do MMORPGs fail? Scott Jennings to the rescue on that one! Massively tackles Cryptic and forces it to answer up, sumo-style! And if you’ve been missing out on the excellent cult movie content over at MRFH, then miss out no longer!